It's hard to classify Leibowitz's music. Is it old school rock, is it progressive, is it jazz? It’s none of those and all of them at the same time. Leibowitz’s third release sees him stretch out even more than on previous releases. Just by listening to his albums one after the other, you can actually hear him grow as a song-writer. Even some of the quirkier shorter pieces show how much talent for creating memorable melodies Joshua Leibowitz has. I still remember the tunes from his first two albums and now there’s a whole new bunch of ear worms to contend with. 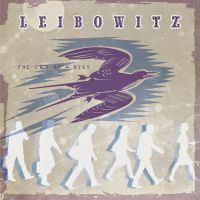 On the longer tracks, Leibowitz shows off his prog credentials and I must admit he’s no slouch. The tracks are well composed and tied together beautifully, with no trace of any awkward transitions. While I think the whole album is really fine, what really stands out are the two title tracks. I’m just a sucker for a good progressive composition. Plenty here to like for everyone. It kind of reminds me of classic rock bands from the 70s, who might not have been progressive per se, but dared to explore beyond the limitations of their genre. Music without borders.